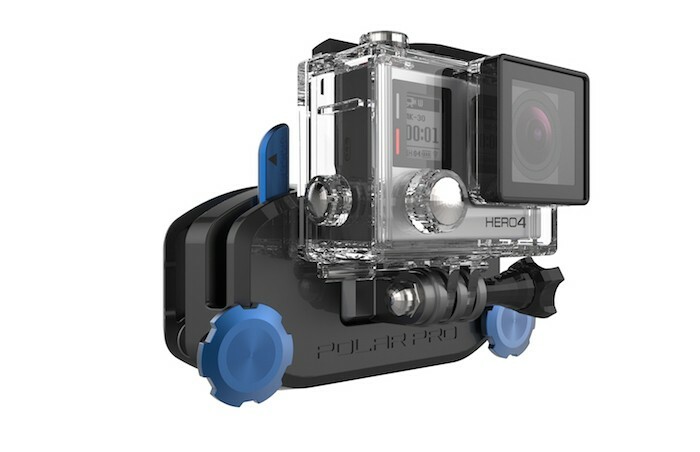 Ahead of NAB 2015, PolarPro has announced several new GoPro new action cam mounts and cases. 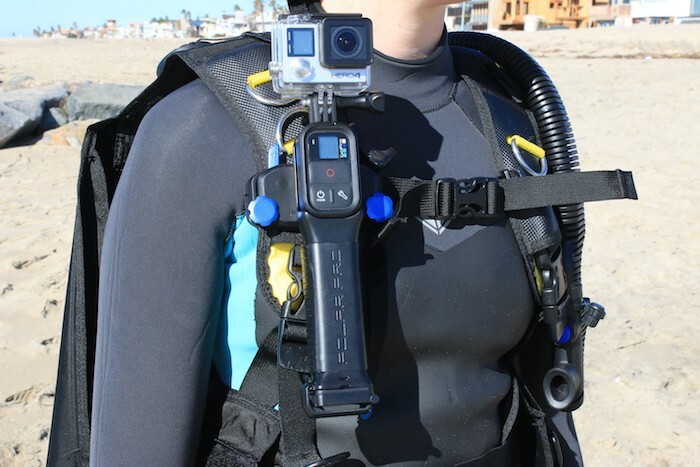 The PolarPro Strap Mount attaches to a backpack or shoulder strap for hands-free POV footage. It has a quick-release lever to remove it from the strap. The Strap Mount goes hand-in-hand with the new ProGrip, which has internal dry storage for two additional GoPro batteries. The Strap Mount attaches to the ProGrip for a convenient grip setup and can still be secured to a shoulder strap for easy access. 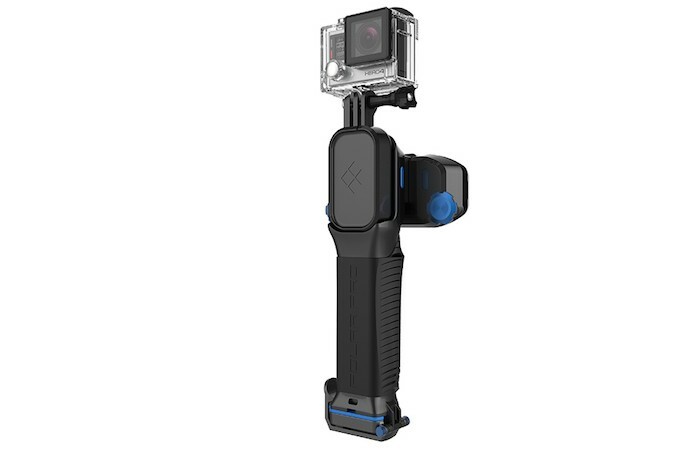 The ProGrip also allows you to snap the GoPro Smart Remote into the front of it. 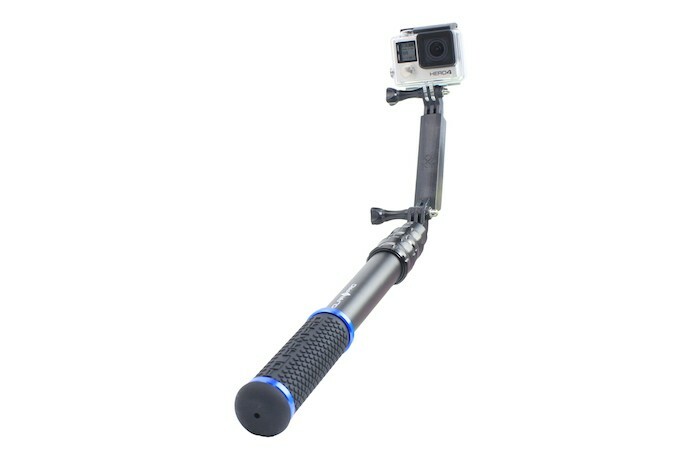 The PolarPro No-Show Extension Pole offers an adjustable-angle arm at the end of the telescoping section, which allows the user to shoot selfie footage or images with less of the pole in the GoPro’s wide-angle frame. The telescoping portion of the extension pole allows it to extend from 14 to 38 inches, not including the extra 6 inches of the angled arm at the end of the pole. 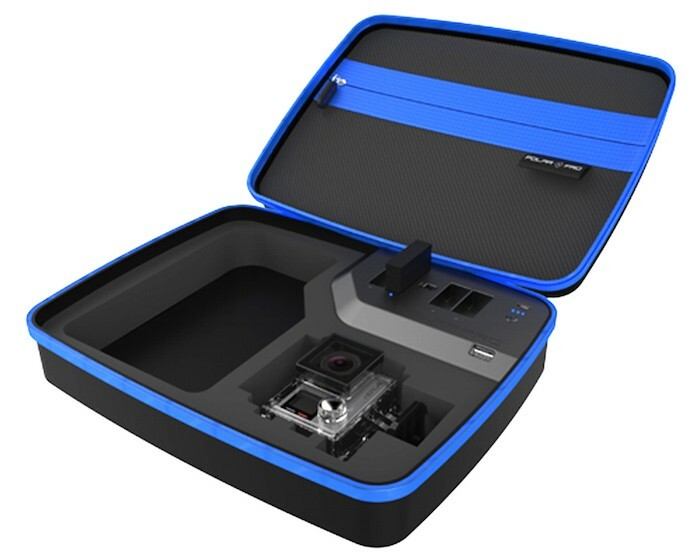 PolarPro also unveiled a new Power Vault case with an integrated battery and Trekker Cases for storing and transporting GoPro cameras and accessories. The Power Vault has a built-in 5200mAh battery that provides enough power to recharge a camera battery up to six times using the built-in GoPro battery slots. It also offers a standard USB port for powering or charging any other USB-equipped device. 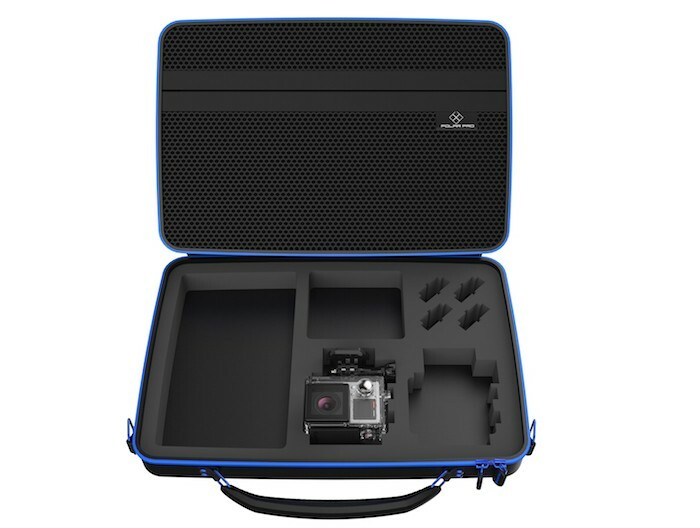 The Trekker Cases offer single and double GoPro options for carrying either one or two cameras, along with common GoPro accessories. PolarPro hasn’t announced pricing or availability of these products yet, but will have them on display at NAB 2015. 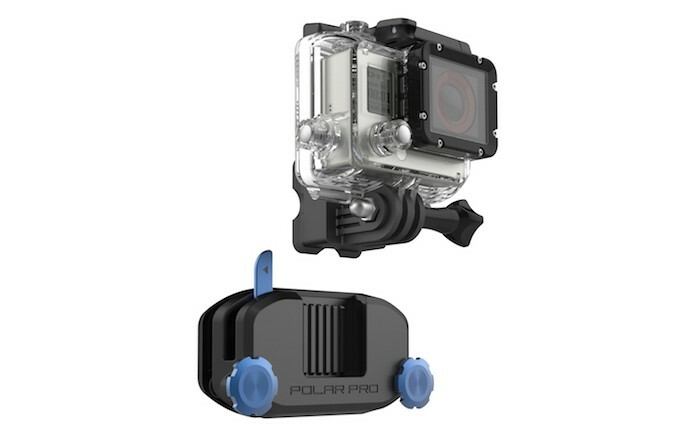 You can follow PolarPro’s website for additional info when they become available. Additionally, B&H Photo carries the full line of PolarPro products and should have these new accessories when they become available.